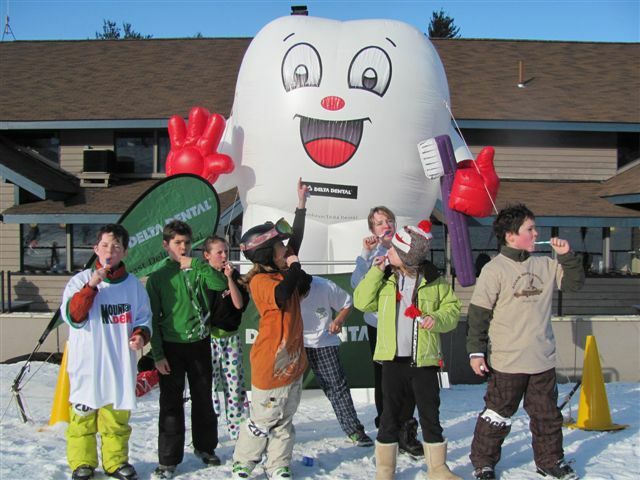 The 14th Annual Northeast Delta Dental Ski Day was held on January 8, 2012, at the Attitash Mountain Ski Resort in Bartlett, New Hampshire. This event helps raise money for the Make-A-Wish Foundation of New Hampshire and is held in conjunction with their Vertical Challenge Race Series, a free race open to all ages and abilities. Northeast Delta Dental race participants included Tom Raffio, Patti Capone, Jim Jensen (with the best Northeast Delta Dental race time of 24:60! ), Jim Green and Jake Bowser. Every year invited guests include our participating dentists and office staff, Northeast Delta Dental Board members, and Northeast Delta Dental employees and their family members. Fifty friends joined us at our outing this year. Lift tickets were free for the day, courtesy of Northeast Delta Dental, and toothbrushes, toothpaste and floss were handed out to everyone who visited our hospitality tent. The weather was perfect for a fun-filled day of downhill skiing and snowboarding followed by a huge après-ski party with music, games and prizes, and raffles that raised $600. A contest was held to see who was the best at brushing their teeth and all were winners! The Make-A-Wish Foundation of New Hampshire (newhampshire.wish.org) grants the wishes of children with life-threatening medical conditions to enrich the human experience with hope, strength and joy. It strives to provide children with the hope for better times, the strength for the tough times and the joy to experience the present. The Make-A-Wish Foundation of New Hampshire is part of the nation’s largest and most recognized wish-granting organization, with chapters and volunteers throughout the United States and the world. Northeast Delta Dental is a proud sponsor of this and several other events throughout the year to benefit this organization. This year they granted their 1000th wish! Teeth Brushing Contest - All were winners! 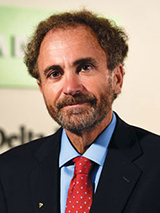 This entry was posted in Philanthropy, Skiing, Wellness and tagged NH Make a Wish, Northeast Delta Dental, Skiing. Bookmark the permalink.